But the characters certainly are the core of Autumn Moon. While the plot may be considered somewhat conventional, it never feels contrived. Each cog in the machine is moved by character motivation that feels authentic. Slade spares us melodramatic plot twists in favor of a narrative that makes sense and feels satisfying. Of course, that isn’t to say Autumn Moon is devoid of plot devices or twists. It has its share, but they are but one element in the formula, not a driving force. One thing that’s interesting about Slade’s work in Autumn Moon is the change characters experience (in some cases, a physical change). Whereas change is a central theme of the story, what with shapeshifters and all, every primary character in the novel experiences meaningful, lasting change. There’s always a decision point, and during a pivotal scene, each character surprised me, as I learned they are not the character I met at the beginning of the book. 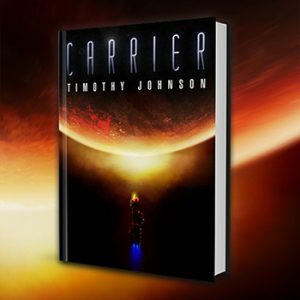 Creating characters with such dimension is tough, but it’s a metric for gauging quality in fiction. As writers, we are taught every character must be dynamic to maintain intrigue for the reader, and Slade delivers here. Drilling down through the large issues, Slade also delivers in his prose. Often, his writing is understated, but he comes through with punches at all the right spots. The dialog is neat and natural. It’s clear the writing is deliberate and meticulously crafted. At times, I felt what I call the “Stephen King effect,” where a writer strikes a perfect balance of technical prowess and natural language, almost as if he or she is speaking to you but using all the right words to do it, like a practiced or rehearsed speech that feels improvised or driven by impulse. If I have one criticism for Autumn Moon, it’s that I felt the first half of the book, perhaps the first three-quarters, felt more carefully composed than the final act. In the novel’s opening chapters, Slade takes his time introducing us to his characters and following them as the pieces of his puzzle begin to connect, and it is this part of the novel that ensures a satisfying culmination of events. However, I felt a bit of a hitch in a twist that comes late in the novel. Slade shows a bit of his hand as he pulls us in a direction he wants to go. Ultimately, I think it’s worth it because the final stamp on the narrative is meaningful, satisfying, and logical, the three elements of any good ending. Overall, I feel like that’s a really good way to sum up Autumn Moon: It’s meaningful, satisfying, and logical. 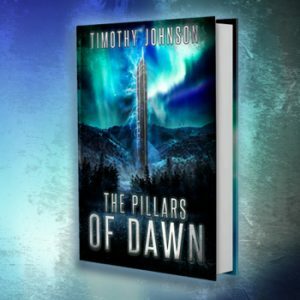 In terms of value of product, it offers everything you could possibly want from a werewolf novel, plus a few surprises. 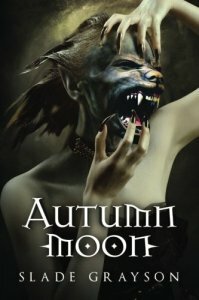 It’s one of those novels that I can see any reader under the horror umbrella appreciating, and I genuinely believe that, given the appropriate exposure, Autumn Moon will find a place on many bookshelves (and e-readers). I thoroughly enjoyed it and plan to follow the series. Tagged Books, Horror, Reviews, Slade Grayson, Werewolves. One of my all time favorite books!! Great characters, great story, sorry it had to end and can’t wait for the next book!